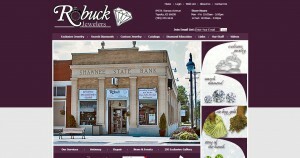 Robuck Jewelers address, phone, website, hours of operation, and more. A very special service – Robuck Jewelers also offers a service to their customers that isn’t found at most jewelry stores. Jim and Charlene can serve as your private diamond broker. Because of their exclusive membership in the Independent Jeweler Organization (IJO), they are able to travel to Antwerp, Belgium and meet directly with the diamond cutters to select the perfect diamond for you from hundreds of parcels of cut diamonds. Belgium’s reputation for cutting diamonds has progressed to embrace the distinction of being the largest diamond trading center in the world. No request is too large or too small. A diamond hand-selected directly from the diamond cutter is the ultimate diamond purchase. See our Antwerp category on this website for more information as to how you can obtain an Antwerp diamond for you or your loved one for that already special occasion – or make any day a “very special” occasion with a diamond from Antwerp. Robuck Jewelers is a unique experience in Historic Downtown North Topeka. Many of our customers say we are the best kept secret in Topeka. Come pay us a visit and see for yourself!